By partnering with Fintechs, banks can regain the ability to innovate and offer a better experience to their customers. Following publication of Capgemini’s World Retail Banking Report 2017, Kristofer le Sage de Fontenay, Head of Financial Services of Capgemini Consulting UK, sees an opportunity for banks to up their game in the race to provide a better customer experience and save market share. It’s happened. Banks no longer provide the best banking experience. That award now goes to the FinTechs and “non-traditional providers”, i.e. the PayPals and Squares of this world. Nearly a third of us now bank with one of these, which understandably has the banks nervous as they see their market share eroding, albeit slowly. Yet every problem comes with its own opportunities. Savvy incumbents are teaming up with these would-be competitors and a refreshingly new spirit of innovation is in the air. New business models are emerging, and the growing use of Application Programming Interfaces (APIs) has third parties waiting with bated breath for the treasure trove of data to be unlocked. This represents the shift to what is called open banking: a model that is still nascent and unrefined, in need of strict regulation and security, yet infinitely promising. The potential for increased loyalty, improved customer experience, new services and their respective revenue streams (for all parties) is within reach. So what’s next? This is frictionless. Banks are not (currently) frictionless. FinTechs are. They’re built on less expensive infrastructure, have no “legacy” technology weighing them down, and focus on driving agile value through enhanced, personalised customer experiences that wow. Some are even employing gaming software, biometric identification techniques, AI, chat bots, and more. This is the digital future we have been conditioned to expect by the likes of Amazon, Apple, Facebook, and so forth. Interest rate comparisons? 1995 called and wants its sales techniques back. I want new, exciting ways of doing things with a broader scope, and I want it now. But don’t underestimate banks. They have been in this game a long time and are no strangers to competition. Credit unions, post offices, brokerages, internet-only banks, you name it, have all entered this space. Banks are actually pretty good at the whole “banking” bit and score higher than disruptors on essential services like transaction limit updates and real-time alerts. Banks know how to navigate banking networks and regulations and are familiar with these new technologies, despite being slower to deploy them. They have assets and resources that far outstrip even the most flush VC tech firms, and, perhaps most importantly, they already have the customers. The obvious solution will be the coming together of two worlds. Both offer what the other wants. Partnership alleviates pressures on both sides and helps deliver what the customer wants, a frictionless banking experience. So, how do they do it? There’s nothing new about APIs. Banks have been using private APIs internally for a long time and they now form the backbone of major operating systems, improving information flow between legacy systems. It’s the Partner APIs that are starting to make inroads. 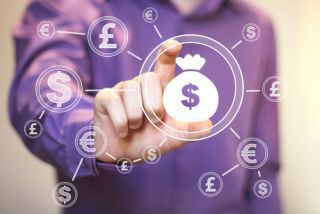 Many banks are still in the early stages of adding business partners to the mix, but through these Partner APIs, they gain access to the enviable agility and creativity of FinTechs while pooling resources, customer databases, and established expertise. The result? Improved services and more satisfied customers. For example, instead of logging onto my mobile banking app to transfer money to a friend, I can now send it with social media. This functional versatility is very attractive to banks who typically struggle to keep pace the latest developments in tech. Some early movers are already one-step ahead. BBVA Compass, for example, now offers real-time payment services through a partnership with tech startup Dwolla. JPMorgan Chase has sped up loan processing by working with On Deck, a FinTech that uses a proprietary credit score to grant loans to small businesses in hours, rather than days or weeks. Yet partner APIs (in this sense) are still private for all intents and purposes. They are a stepping stone toward where the real magic happens, Open APIs and Open Banking. Banks, say hello to third parties, your new best friends. Third Party Developer: Hello there Mr. Bank. Third Party Developer: Gosh, it feels a bit stagnant in here. Bank: Yes, things can seem to move slower than a slug on valium here sometimes. It’s the legacy systems, you see. Makes innovating harder than Ross Kemp on Gangs. Third Party Developer: Right… Well, how does me developing new customer services based on your open API sound? It can expose you to new customers, position you as innovative, make you loads of money, and all it will cost you is a fraction of the takings. OK so it’s not quite as simple as this, but you get the picture. Yes, there are plenty of concerns around data security and customer privacy. All it takes is one poorly constructed API to compromise internal systems. Indeed, open APIs give software developers access to areas that have previously been strictly off limits like balance information, password validations and spending patterns. However, APIs and open APIs in particular are emerging as the essential tool for pushing forward. As long as due diligence is taken, opening up to the developer community can do wonders for innovation. It lets banks tap into readymade services and reduces costs, improves customer experience, gives access to new customer data, improves agility, reduces time to market and offers potential new revenue streams to boot! It’s no wonder that over 91% of the banks we talked to put collaborating with FinTechs in their future strategy. The race is on. Make sure you don’t get left behind.